Time Warner Cable will be adding 20 more HD channels to market areas in Ohio, that according to the Newark Advocate. The additions include ABC Family HD, Disney Channel HD Channel, ESPNEWS HD and Speed HD Channel bringing the total number of HD channels available from Time Warner in those areas to 61. In Newark, Ohio, the 20 channels will be added before August 17. The Newark publication also reports Time Warner Cable plans to offer over 100 HD channels in Ohio areas by the end of summer. 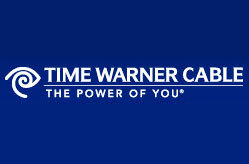 Time Warner Cable recently declared a quarterly dividend of $0.40 per share on its Common Stock, payable in cash on September 15, 2010 to stockholders of record at the close of business on August 31, 2010.